Have you ever dreamed of being a judge on a cooking challenge TV show? re:Dine Ginza may be the closest you can get to that experience. 5 chefs hoping to establish their own restaurants work side by side at re:Dine, creating culinary masterpieces for the customers that visit the restaurant every day. After enjoying a meal here, patrons vote for their favorite chefs and dishes. After a fixed period of time, the chef who is deemed most successful graduates the venue and establishes their own restaurant with the confidence that their cuisine will be popular. Thanks to this unique format, diners at re:Dine are able to sample incredible cuisine from a variety of cooking traditions at a very affordable price. If you are in Ginza for lunch or dinner, this restaurant cannot be passed up. Koju is a kaiseki restaurant located in the upscale Ginza district of Tokyo. Kaiseki, if you haven't heard of it, is a kind of Japanese cuisine that consists of a course meal served in many small, meticulously and artfully arranged dishes. 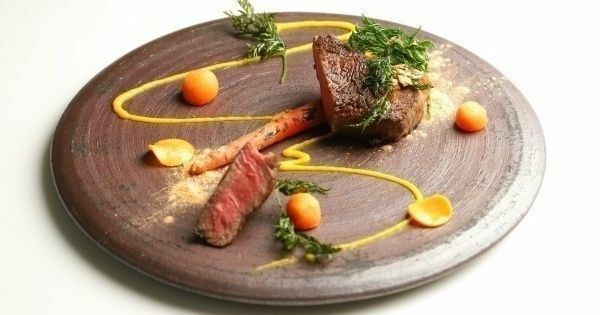 The portion of every plate is small, so you get a lot of variety from Japan's most iconic delicacies such as this A5 wagyu Osaki beef, a kind of cattle renowned for its high-fat content and supreme tenderness. Kaiseki is generally very expensive, and the one served at Ginza Koji is arguably among the best in Japan, so eating there will cost you about ¥20,000 for lunch and ¥30,000 for dinner. Reservation is a must! See the link below if you'd like to reserve your kaiseki course at Koju. 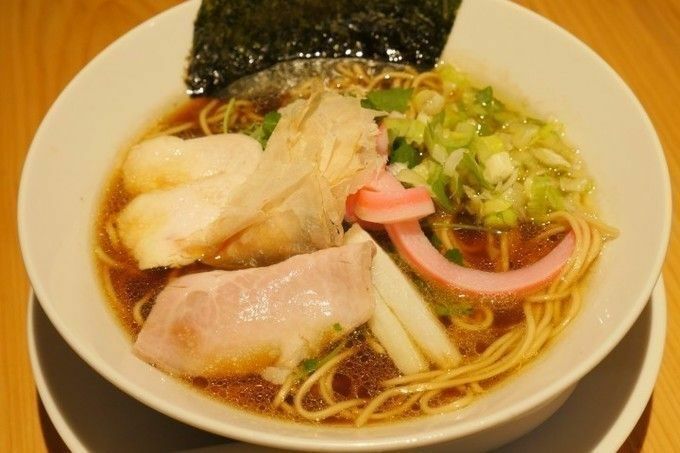 The outstanding ramen dish here is the Hamaguri Clam Ramen. If you've never heard of clam ramen, you are not alone! This is quite original, and even most Japanese people are surprised by this addition. To go with the clam, the chef has selected a niboshi (dried sardine) and chicken stock which creates a perfect synergy in taste to complement the clams. The tasty clams come from Japan's Kawana region, and even the eggs, with their dark yolk and creamy taste, taste better than the ones found in a usual ramen bowl. Finally, the noodles are from a famous Kyoto maker, so everything tastes perfect. This store is a must-try! Prices are around ¥1000. Located at just a 5-minute walk from the Higashi Ginza Station or the Ginza Station. Yes, THAT Jiro. This is the famous Sukiyabashi Jiro, considered by many the best sushi restaurant in the world. It boasts three Michelin stars and some of the world's most elite patrons, including President Barack Obama. For just ¥30,000, the 20-course meal will be served in an efficient 30 minute time frame. Let's be clear, though, those 30 minutes will likely be some of the most delicious of your entire life. A note about reservations: Getting a reservation at Jiro is extremely difficult, so they cannot be guaranteed. Plan ahead of time. The general rule is that they take reservations on the first of the month for a seat at the restaurant sometime during the next month. An important thing to point out is that they don't take reservations from overseas, which makes it pretty tricky booking a table here. They ask that you book through your hotel, as they say, they've had cancellations from people overseas before. Fair enough I guess. 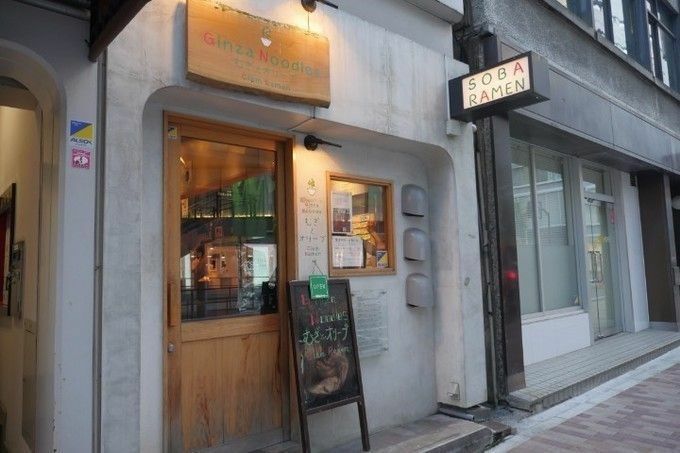 Soba Sasuga is a famous Michelin-starred restaurant that specializes in Juwari soba (十割そば), which means 100% buckwheat soba. Their menu is intentionally simple so you can enjoy the natural flavor and fine texture of their soba. Regular hot soba and cold soba (with dipping sauce) are 1000 yen and both taste amazing, totally worth a star. Ginza Una is unbeatable in terms of quality at a reasonably low price. For ¥3,000 to ¥4,000, you can have a true yakiniku feast with tender meat, a few drinks, and some side dishes. This is one of the most popular yakiniku restaurants of the Ginza area not just for the meat, but also for its signature "reimen" dish (cold noodles) that most people eat as a last order of their meal. The combination of yakiniku and this cold noodle dish made with a beef broth makes for a unique yakiniku experience you'll surely remember. Tempura Kondo is a spectacular two-star Michelin restaurant that serves carefully prepared tempura cuisine. The batter is light and unlike anything you've ever had! The restaurant's signature dishes are the prawns and the sea urchins wrapped in shiso leaf. The mix of flavors and textures will simply blow your taste buds away. This restaurant is highly popular so it's a little difficult to get a reservation; it is easier to go for lunch, and it's just as satisfying! It is a two Michelin star restaurant, so prepare to pay accordingly. For lunch, it's between ￥6,500～￥10,000; and for dinner, it's over ￥20,000. L'Osier in Ginza is a 3-star Michelin restaurant, so it is priced accordingly. If you want to try outstanding French cuisine in Tokyo, this is the place to go. They have a lunch course which starts at a reasonable ¥10,000, and dinner at ¥22,000. For lunch, you have a variety of small dishes, as well as coffee and dessert. Definitely worth a visit if you are a foodie. L'Osier is a 7 minute walk from Ginza or Shimbashi Stations, and 8 minutes walking from Yuurakucho Station. Centre The Bakery is located in between Tokyo and Yurakucho station about a 4-minute walk from Ginza Ichichome station on the Yurakucho line. Very, very popular with locals and tourists, you'll see plenty of people lining up on the weekends to get a seat inside. They have an interesting array of dishes and pastries, mostly eaten as a sit-down fare. You'd be hard-pressed to find a fruit sandwich overseas, but here it's one of their most ordered items. Fresh cream, fruit, and soft bread; delicious! If you can only try one bar in Ginza, this is the one! It is about 5 minutes away from Ginza station. This beautiful and classy cocktail bar offers a major twist on traditional cocktails. The mixologists like playing with liquid nitrogen, which gives the cocktails that extra oomph! Their cocktails are delicious, interesting, and incredibly creative!